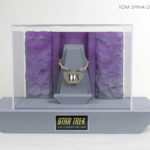 A custom, wall-hanging display case for a Star Trek Deep Space Nine Odo face appliance. 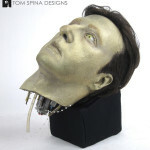 This Star Trek Deep Space Nine Odo face appliance prop from the season 5 episode, The Ascent came to our New York studio for a custom display. 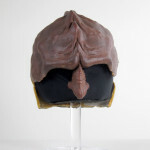 When the piece arrived it had become slightly misshapen because of the soft material of the foam latex appliance and the lack of a support form. Our first job was to create a face form similar to actor Rene Auberjonois, for whom we did not have a life casting. We cast a generic face form, and then carefully reshaped it as needed to help the Odo face mask rest properly and keep its shape. We then mounted the appliance to the custom form. From there, we created a black wood backing and placed the face and a custom metal plaque describing the prop. 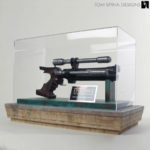 We finished the display with a custom clear acrylic display cover which hangs over the top with a small lip, making for easy set up and removal. 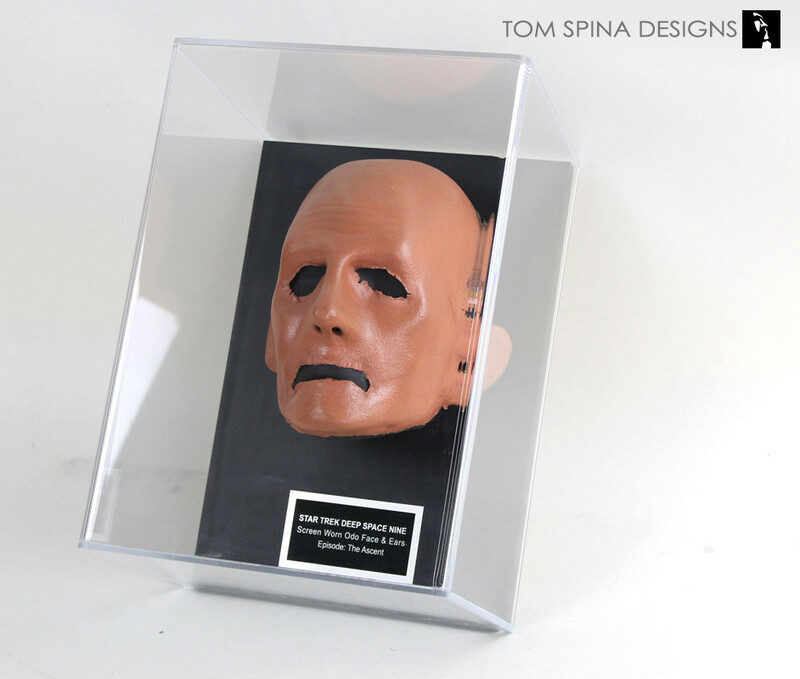 Our studio specializes in created showcases for otherwise challenging to display movie and TV props like this Star Trek mask. When you pick up your next movie collectible from auction or prop house, consider dropping us a line and seeing what we can do for your collection! 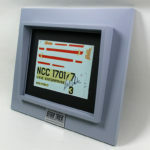 If you loved Star Trek The Next Generation then you'll love this companion series!